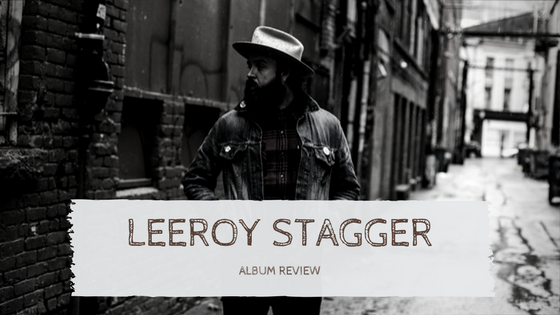 Leeroy Stagger and his mix of influences have blended together to create 11 albums, including the recently released Love Versus. Lyrically, this record tells a personal story that he admittedly worked on harder than any of his previous writing. Sonically, he chose the best of producers and musicians to drive those lyrics home. The band playing on the record included Pete Thomas, longtime drummer for Elvis Costello; Paul Rigby of Neko Case; Geoff Hilhorst of The Deep Dark Woods; and his longtime bassist Tyson Maiko. Three weeks in the studio and Love Versus was created. This is Stagger's first album that was recorded in his new home studio in Canada. The space was being built right up to the first moments of recording, from the rough cut Douglas fir walls to the 18 foot ceilings. “I’ve modelled it after the gatefold of Neil Young’s harvest,” he said. By being fully immersed in the creation of the album by being in his own studio, each track is strategically placed in an order that won’t soon be forgotten. The progression up to this album is not only a noteworthy resume but ten other albums that show just how much harder he worked this time around. Stand-out tracks include “I Want It All”, the first track that brilliantly captures both the theme and Stagger's vocals, and “Joe Strummer and Joey Ramone”, an homage to the musician idols of his childhood. “I Want It All” also hit number two on Spotify’s Canada Viral 50 chart and hit the top ten on the iTunes Singer/Songwriter chart. Love Versus is available now via True North Records.